After I bought my Nintendo 2DS, I looked into underrated Nintendo DS games to see if there were any titles that were worth going back to. Dementium: The Ward was one of the titles caught my eye primarily because it looked like it was a survival horror game, which is something of a rarity on Nintendo consoles and especially rare on Nintendo handhelds. When I was looking for more information on this game I found out that it was being remastered for the Nintendo 3DS, so I decided to hold on to my money and wait for the 3DS remake instead. That was as far back as December 2014, and I acually put up an article about this same game at my old blogsite back in May of this year. So why write about this now again? Well, we finally have a release date for Dementium Remastered, and it’ll come out this week! After months and months of waiting, Dementium Remastered is finally here! Well, here in a few more days! The original version of Dementium: The Ward was generally well-received, scoring a Metacritic rating of 72 based on 48 critics. If we consider that this was a game made by a small developer (Renegade Kid) AND a first person shooter game on the Nintendo DS, that’s quite an achievement. According to Renegade Kid, they made a couple of enhancements to Dementium Remastered so I’m even more interested in it now. 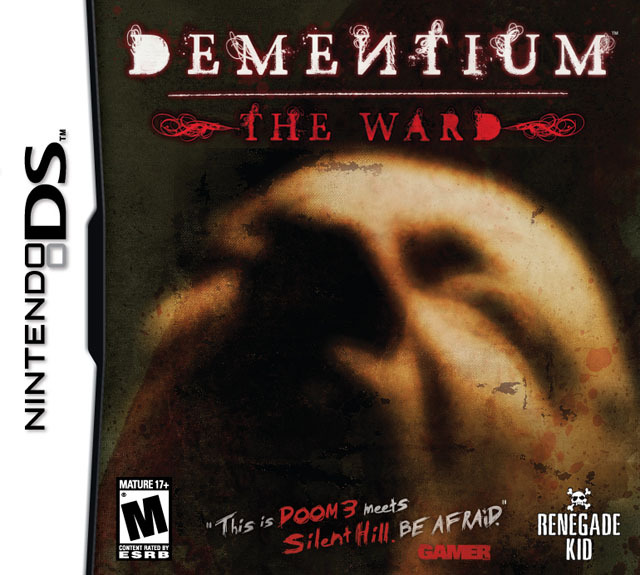 Box art of Dementium: The Ward for the Nintendo DS. A little trivia before I talk about the remastered version: I learned recently that Renegade Kid actually approached Konami about making a Silent Hill game for the Nintendo DS using the game engine that they used for Moon, their previous first person shooter release on the handheld. Konami declined, but Renegade Kid decided to make a game anyway even without the Silent Hill brand. Dementium: The Ward was born and it sold well enough that Renegade Kid eventually made a sequel and now we’re about to get Dementium Remastered. What kind of enhancements are they talking about, exactly? If you’re expecting graphical enhancements, you’re right – the graphics of Dementium Remastered was, um, remastered – the looks of the enemies and the environment were updated to look better on the more powerful Nintendo 3DS. Unfortunately, Renegade Kid opted not to add stereoscopic 3D effects to keep the size of the game manageable, but I’m okay with that because Renegade Kid did more than just a graphics overhaul to this remastered version – they also addressed some of the opportunities that the original version had, such as how enemies would always respawn whenever you revisited certain places. I didn’t play the original game so I’m only basing this on the many reviews of Dementium: The Ward that I read, and many reviewers did complain about how this and the fact that there’s limited ammo in the game made it a little inaccessible. n Dementium Remastered, enemies no longer respawn. Dementium Remastered may not be in 3D, but it’s title screen is! As the image says, scan this code with your 3DS and you can view this in 3D. Another improvement is the addition of a more traditional save system, which addresses another complaint that was frequently mentioned in the reviews that I read. In the original version, you can’t really save your progress in a level – all you can save is which level you’re on. If you die, you have to play that level from the start. Anticipating that some players may find these changes to make the game a little too easy, Renegade Kid added two difficulty options to compensate: Hard and Demented. Dementium Remastered also offers better control options. Dementium: The Ward required the use of the stylus to control aiming and anyone with a Nintendo 3DS XL knows that playing games this way can get really uncomfortable if playing for long periods of time, but Dementium Remastered is compatible with both the Circle Pad Pro accessory or the C-Stick of the New Nintendo 3DS XL so owners of those devices can do away with the stylus. One of the few screenshots that I could find of this game. There are a few more enhancements to this version, but you know what? 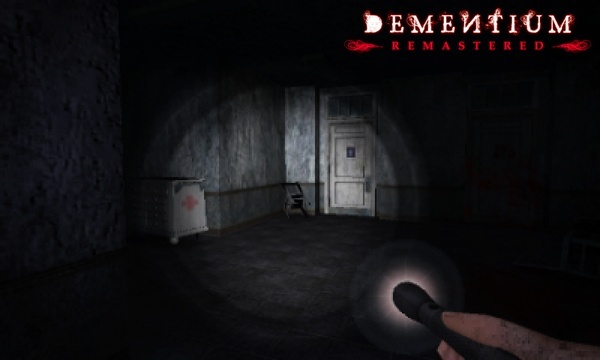 Like I said earlier, it’s quite rare to see survival horror games be released for Nintendo handhelds – for this reason alone, Dementium Remastered already has my attention. Talk about improved graphics and C-Stick compability and I’m sold. I’ve had my New Nintendo 3DS XL since February 2015 and I’ve barely used the C-Stick simply because not a lot of games compatible with it have come out. My only complaint about Dementium Remastered is that it’s a digital only release (at least, for now). I prefer getting a physical copy but I want this game so much, I don’t mind getting this in digital only form – especially since a copy only costs $14.99. Given that this is digital-only, I’m glad Renegade Kid skipped adding stereoscopic 3D and opted for a smaller game. I’ve got my sights on Dementium Remastered since I heard about it and I think other people should have this on their radar as well, especially fans of the Silent Hill franchise or those who like survival horror games in general. Help us spread the word by sharing a link to this article to your friends! 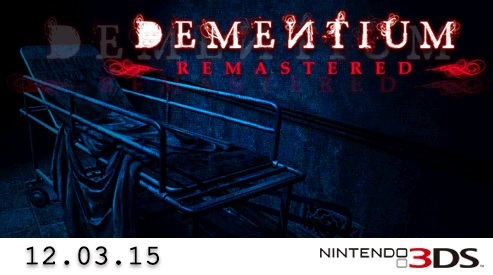 Dementium Remastered will be sold on the North America Nintendo eShop on December 3, 2015 for $14.99. What do you think about Dementium Remastered? Are you also interested in this game? Share your thoughts with us by leaving a comment or two below! dude im so into horror games so ill like this horror game its coming out tomorrow! Thanks for the comment! It looks like the game has flaws but nothing game-breaking and nothing that should dissuade fans of horror games who have a 3DS. I already have my eShop credits ready for this game!